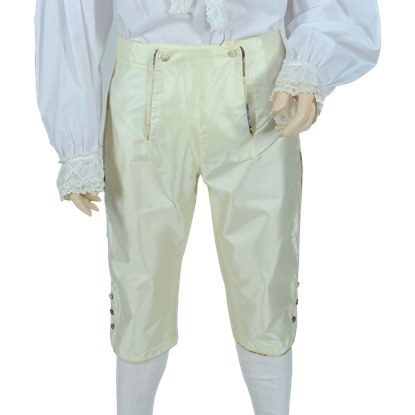 Your Dressmaker has all the pieces you need for your next historic look, and for many men, a pair of period appropriate pants is an essential component. 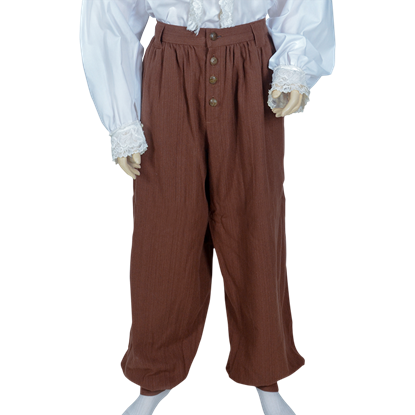 Shop our vast selection of historic pants, where we include everything from medieval peasant pants to Renaissance breeches fit for a lord. 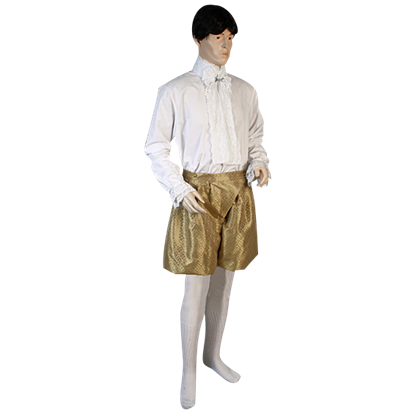 All our historic leg apparel is handmade by expert tailors with unmatched craftsmanship to bring you the most authentic additions to your medieval outfit. 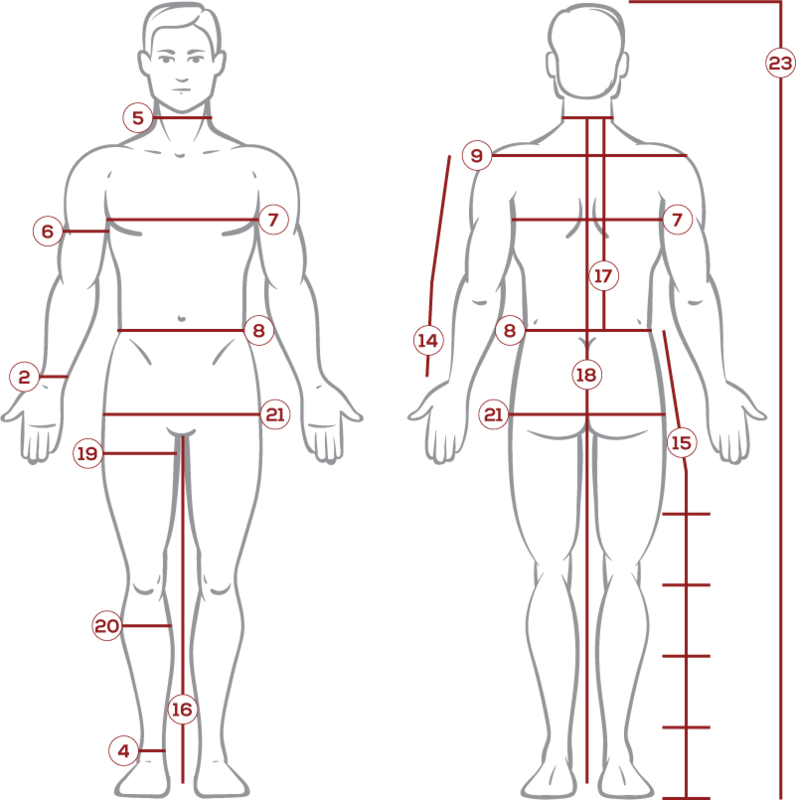 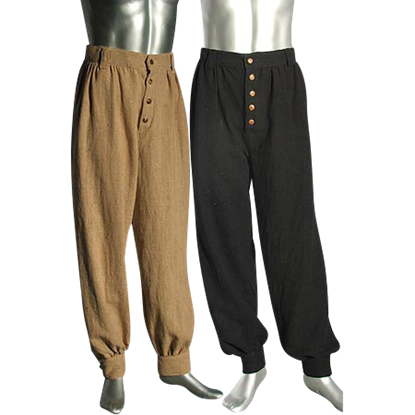 Our medieval pants can even be tailored for your ideal fit. 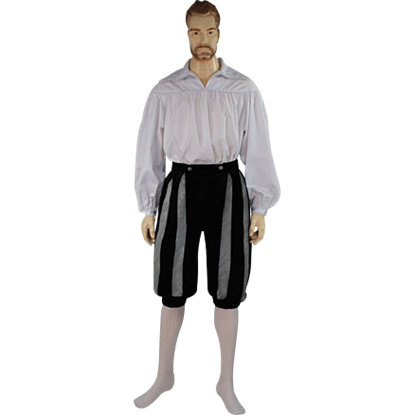 Browse through the many eras and styles represented here, including Renaissance pants inspired by various royalty and historic reenactment pants in the fashions of different European cultures, not to mention our basic styles, like our peasant pants, that are must-have additions to any reenactors wardrobe. 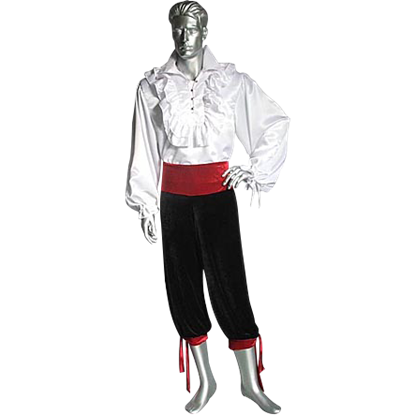 We use the highest quality materials to bring you our historic pants, so here you will find velvet pants and satin breeches for Renaissance nobility as well as sturdy woven cotton pants in a multitude of styles, sure to pair well with virtually any medieval outfit. 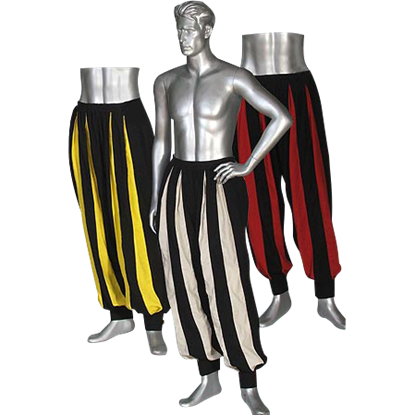 When it comes to preparing an outfit for your next historic reenactment event, medieval LARP, Renaissance festival, or theatrical production, look to Your Dressmaker for all your mens medieval pants needs. 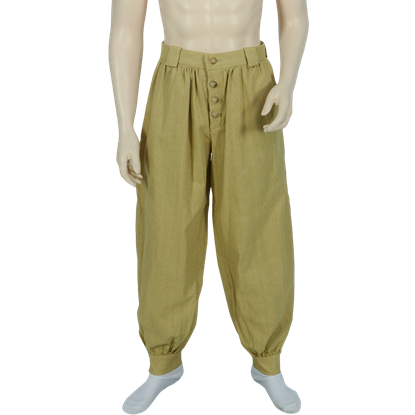 Comfortable, stylish, and classic in their appeal with just enough detail, the Adventurer Pants are an essential addition to reenactment wardrobes. 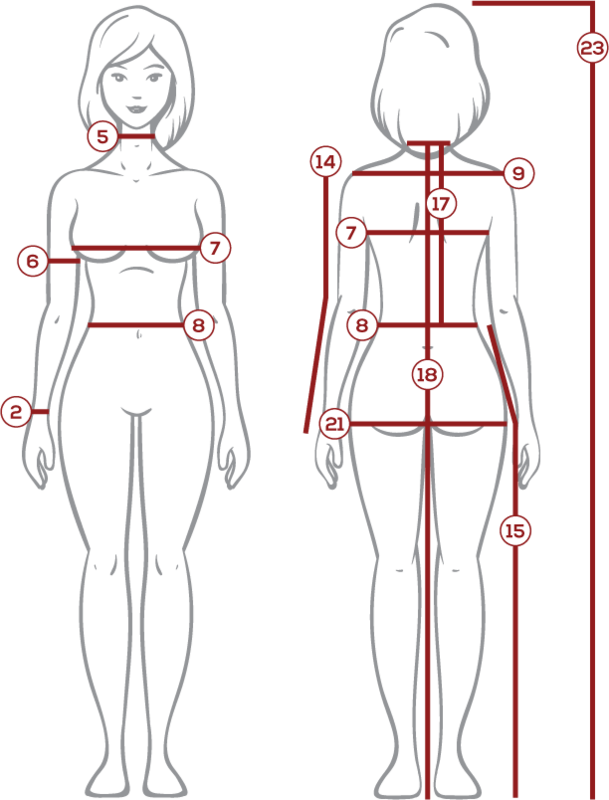 Do not forget this important piece of clothing when embarking on your next quest! 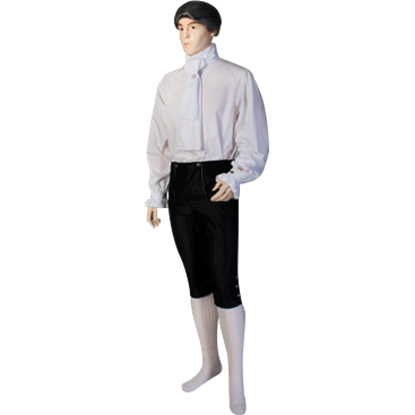 The Italian Renaissance Breeches derive much of their appeal not just from their simple striped appearance, but also from the quality of the materials they are made from. 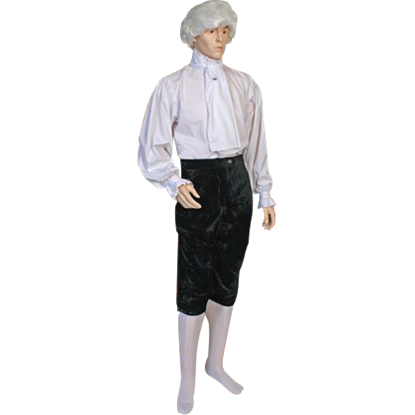 The velvet and satin makes these breeches quite appealing. 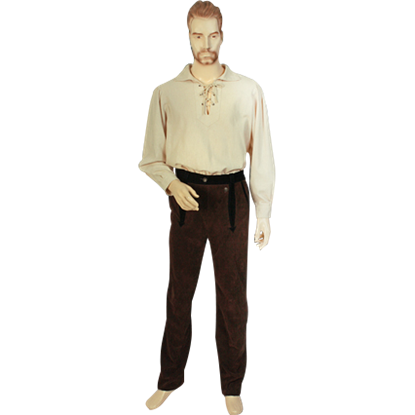 The Medieval Suede Trousers are a simple but effective pair of medieval pants that are as versatile as they are handsome. 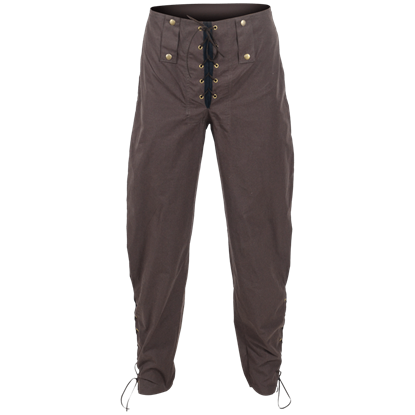 These pants have such a universal style that they mesh cohesively with almost any medieval or renaissance look.